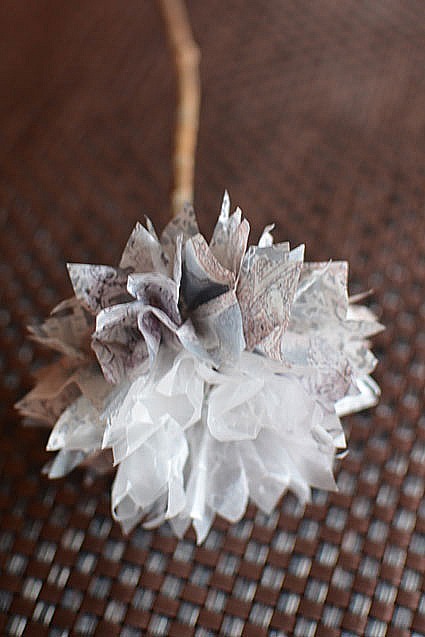 Tissue paper pom pom flowers are elegant, inexpensive and easy to make. What more could a bride want? 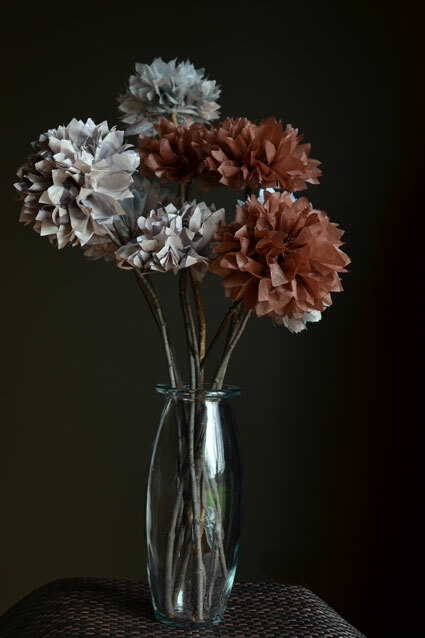 They also go perfectly with hanging DIY pom poms. Cut 5? x 10? rectangles of tissue. Stack four sheets and make 1/2 inch folds. 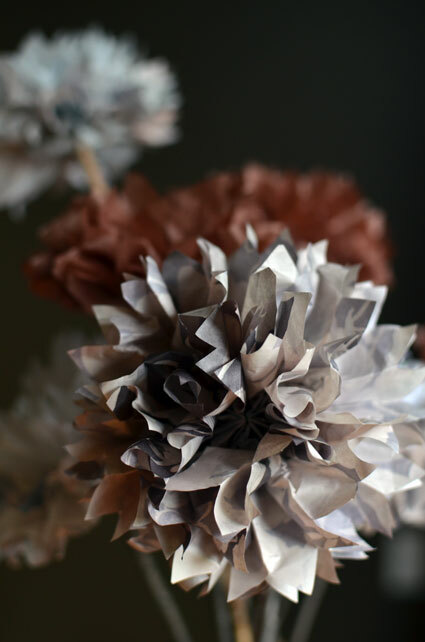 Follow instructions for DIY pom poms to make the flowers. 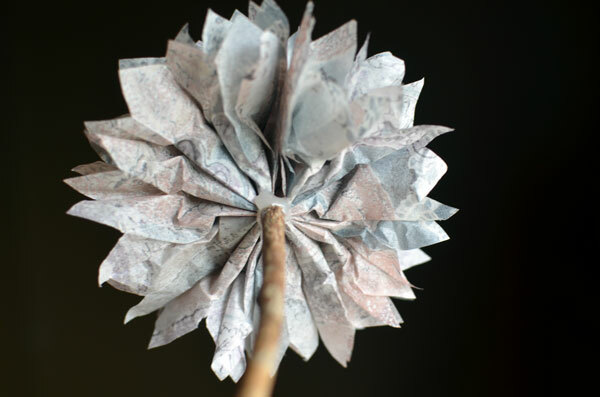 Use a glue gun to adhere the flowers onto sticks.